At Cramond Residence, we have an exclusive partnership with Balanced – Edinburgh’s premier physiotherapy provider – which specialises in functional rehabilitation and fall prevention to help older people become more independent. Here, lead physio Hazel Reynard tells us all about physiotherapy at our care home in Edinburgh. On arrival at Cramond Residence, each new resident is offered a full physiotherapy assessment. This looks at how they move and balance and their ability to manage day to day activities. The assessment evaluates a resident’s muscle power, their range of movement, gait and balance and how they function. It also identifies if they are finding anything difficult or if there is anything that is causing them pain or discomfort. It is usually carried out in the physio gym but depending on the individual, it may be more appropriate to have it take place in their room. We work with the residents to create a bespoke plan, identify what they would like to achieve and then help them to work towards these goals. In the treatment plans, we establish what activities are most suitable, including daily exercise programmes, weekly physio sessions or balance classes. After six months, we review all residents’ plans and reassess these if necessary to ensure they are fully up to date and in line with their care needs. A typical day at Cramond involves me arriving at the Residence and catching up with the nursing staff to see how the residents are doing. I then have a mixture of new residents to assess, follow up physio appointments and a weekly Group Balance Class to run. The gym is well equipped with weights, mats and bars. Physiotherapy is important for older people, and there are benefits we see. Ageing happens to us all but the good news is that there is lots that can be done to help people remain active as they age. Physio can help people to continue to do the things they love. Exercise strengthens the muscles and improves balance but it also keeps the mind active and helps to boost your mood. For older people specifically, physio can help with many things such as managing pain and improving mobility. The risk of falling increases as you get older but with regular exercise focusing on strength and balance, that risk can be reduced. 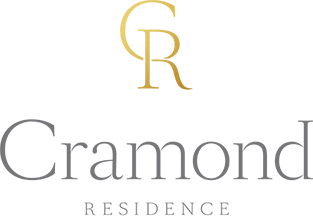 I really enjoy working at Cramond Residence, as I love working with new people – it has been great to meet the residents, hear their stories and help them to keep active and enjoy their time here. The Residence is a lovely environment to work in and all the staff are very friendly and helpful.